QuiltCon: Call for submissions for the QuiltCon magazine are out. 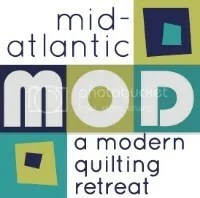 Quiltcon East Charity Quilt was announced: Details coming soon!!! Do you have a business or talent to share? We have a new table set up at the meetings where you can place your business cards, postcards, list of classes you’re teaching, and/or services you provide! Be sure to be on the lookout at the June meeting for these! Board Elections will be held in June. Any member in good standing can self-nominate to get on the ballot for our meeting on June 16. An email with more info was sent to members. If you did not receive the email, please email us at njmqginfo at gmail dot com. So this past meeting was great with the Slow Stitch Demos! Tracy taught us visible mending, Stephanie taught us hand quilting and Stella taught us embroidery. What did you all think? Thanks everyone who participated in our infinity scarf swap!! They all were super awesome! And now… Show & Tell!! See you all at the open sew, and/or next meeting!! ← April 2016 Meeting Recap! !